On a tranquil Tuesday morning of December 29, 2015 Beijing issued its first “Red Alert”. Hitting over 250 air quality index (AQI), which is more than 20 times the levels of air pollution recommended by the World Health Organization, part of China’s capital city was shrouded in thick sepia-toned air. Residents received text messages from Beijing's municipal government warning them that all schools would be closed, construction halted and car restrictions put in place. This scenario is happening with frightening regularity as migration is causing unprecedented urban densification in the city, which is the 3rd most populated in the world. 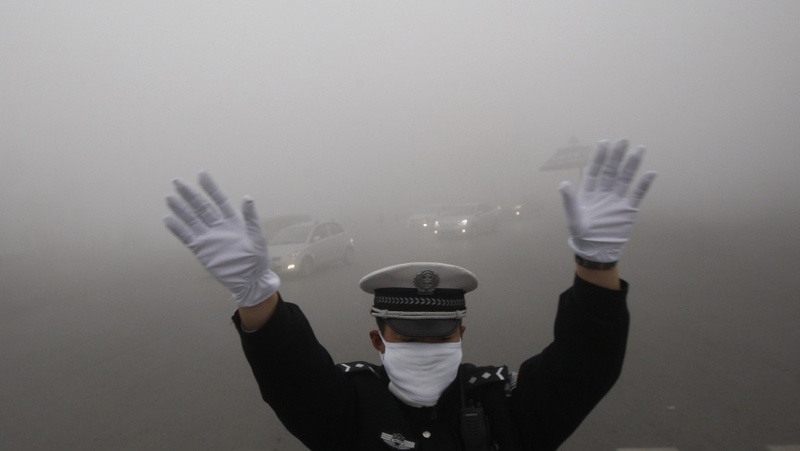 The worsening smog issue is not limited to Beijing—it may be coming before long to a city near you. Air pollution is a global issue.Densification is putting a strain on infrastructure, while policy makers are challenged with making the right decision to resolve issues with the pollutant emissions caused by the ongoing burning of fossil fuels. Urban planners are tasked with discovering and implementing solutions that will have lasting impacts on community health and liveability, including wider adoption of mass transit solutions. Deploying zero-emission bus technology is an important mandate that all major cities with mass transit fleets need to embrace promptly. And there are positive outcomes. Just think of standing curbside as a bus passes; instead of being sprayed by a blast of smoky black poisonous diesel fumes, a small plume of water vapour is pushed through the bus exhaust pipe and you’re not left coughing. Indeed, some mass transit technologies emit water vapour – they are called Fuel Cell Electric Buses and they need to be part of the conversation to solving the issue of air pollution. Getting back to the Beijing’s severe smog situation, while there are no quick and easy fixes the city government has since implemented a number of new policies to improve conditions over the long-term, including a new emissions standard, which took effect this year. While it is easy to have an opinion on the pollution happenings outside our own communities, the air quality and health problems being identified in Beijing are applicable to every community with transit infrastructure. Efforts need to be directed to implementing solutions today that will best serve the long-term interests of its citizens. To learn more about zero-emission developments for mass transit, click below for complimentary access to NREL’s latest report. Learn about the progress of fuel cell buses in U.S transit fleets. Get the latest report from NREL.